With a name like Dark Chocolate Billionaires, you would think this candy is pretty special and you would be right. 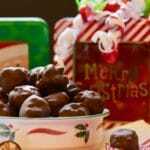 Not only is it delicious, but this easy confection makes a terrific homemade Christmas gift for those special people in your life. Dark Chocolate Billionaires only have four ingredients and literally, only take minutes to prepare. This recipe is so easy, even your children can make it themselves, or help you make them. And talk about scrumptious, the crunchy, chewy, caramelly interior is covered with a yummy dark chocolate coating and it all comes together in one heavenly bite! 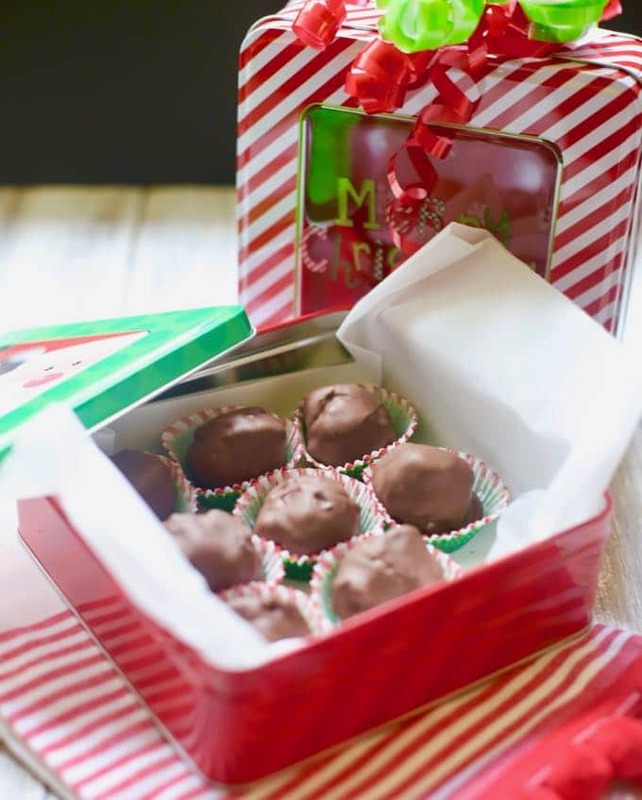 My sister over at the Pudge Factor Blog used to make fabulous Christmas gift baskets for everyone in our family and her co-workers and they always contained these delicious Dark Chocolate Billionaires. Chula and her daughter made twenty-five of these baskets each year and each basket contained over twenty different festive treats including among other things, gingerbread men, peanut brittle, and peanut butter balls. Each confection was individually packaged and I’m sure if you purchased something similar it would be several hundred dollars. I think they must have spent the entire month of December cooking and preparing the contents of those baskets. Here is a link to the actual Christmas Gift Basket contents if you are curious or want ideas for a gift basket of your own. 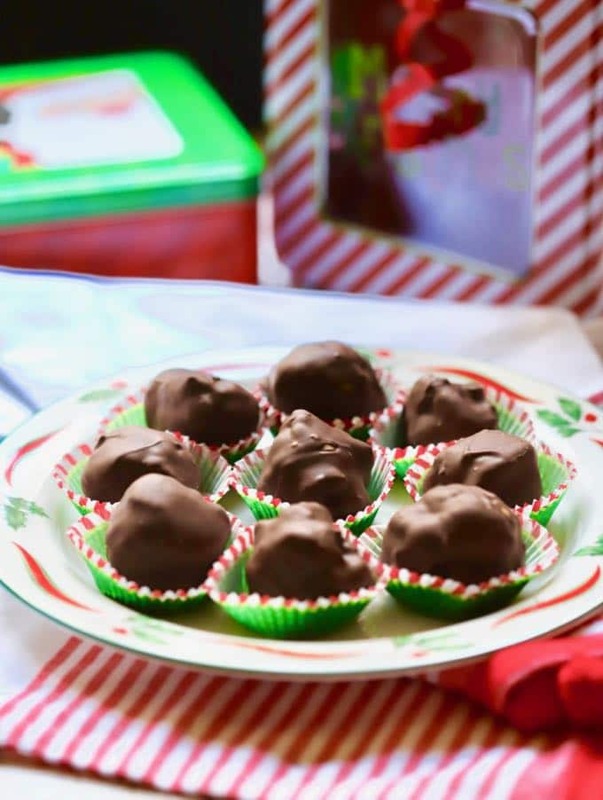 These Dark Chocolate Billionaires were always one of my favorite treats in Chula’s coveted gift baskets and I have to thank her for sharing her recipe with me so that I can share it with you! If you like this recipe, you might also be interested in these recipes for other homemade edible Christmas gifts: How to Make Preserved Lemons, Mixed Olive Tapenade, and Cranberry Infused Vodka. The ingredients for Dark Chocolate Billionaires are caramels, roasted pecans, Rice Krispies, and dark chocolate melting wafers. I used Ghiradelli. 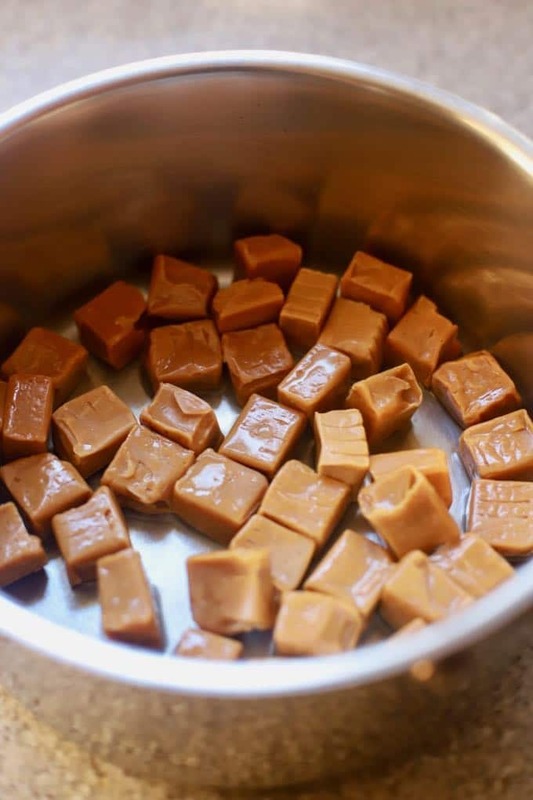 Combine the caramels and 1 Tbsp of water in a large saucepan over medium-low heat. Stir until the caramels are melted and the mixture is smooth. This will take 4-5 minutes. 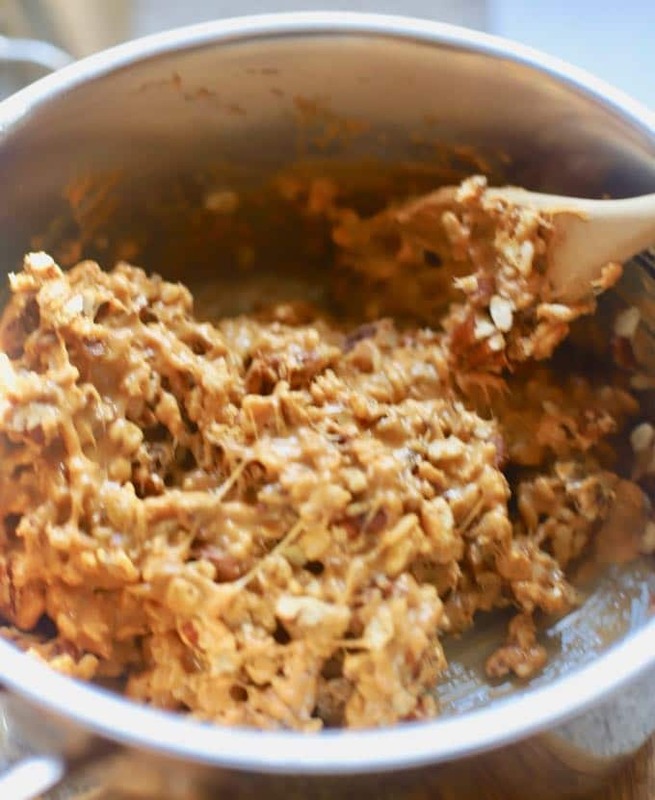 Remove from the heat, add the pecans and Rice Krispies and stir to combine. 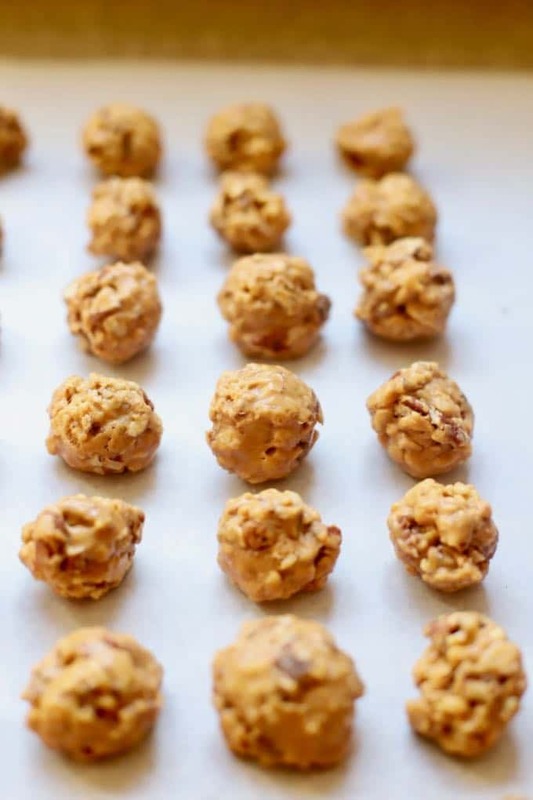 Drop by teaspoonfuls onto parchment paper or wax paper. Set aside. Place the melting wafers in a small microwave-safe container and microwave at half-power or defrost setting for 30 seconds. Stir well. Continue to microwave and stir at 15-second intervals until the mixture is smooth. Place the dipped candy on parchment paper or wax paper and allow to set. When the chocolate is fully set, store in an airtight container. 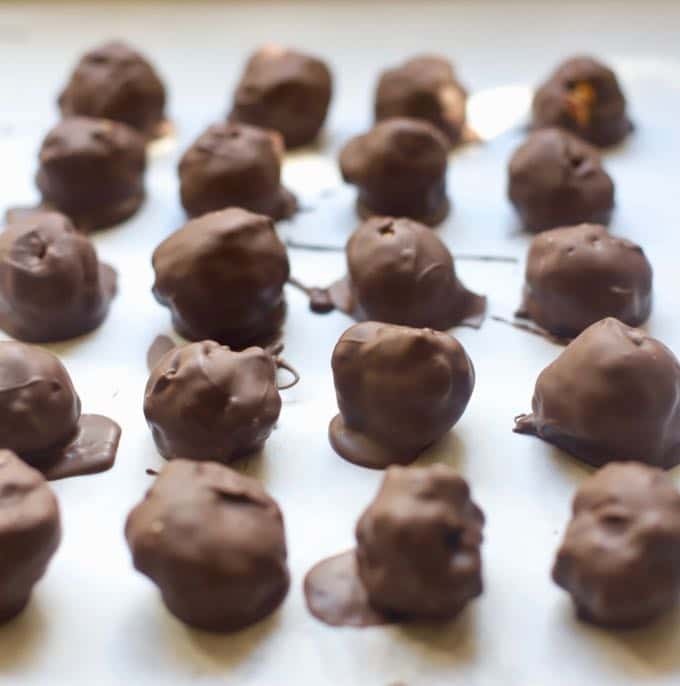 Notes: The first time I made this candy, I used a 1-1/2 inch scoop and the candy came out too large. A teaspoon or a melon-baller works much better and produces a nice bite-size piece of candy. 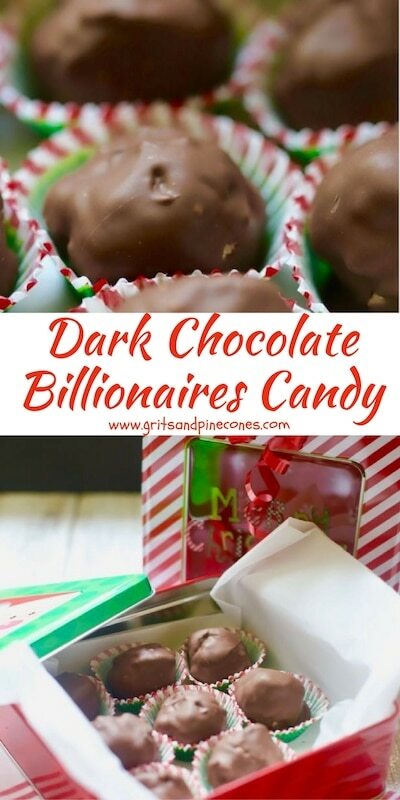 Dark Chocolate Billionaires Candy is delicious, and this easy confection makes a terrific edible homemade Christmas gift for those special people in your life. 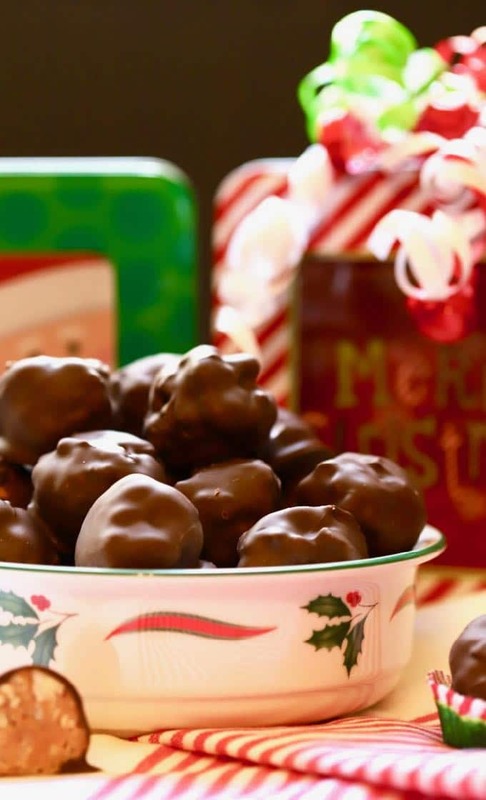 This was the easiest holiday candy EVER, only took a few minutes and came out perfectly! I added extra rice krispies to make it crunchier. This was the most popular candy on my Christmas tray for several events this year, flew off the platter every time! I’m so glad you liked the candy. I agree it is really easy and I will try adding the extra rice crispies next time I make it. Thanks so much for letting me know!